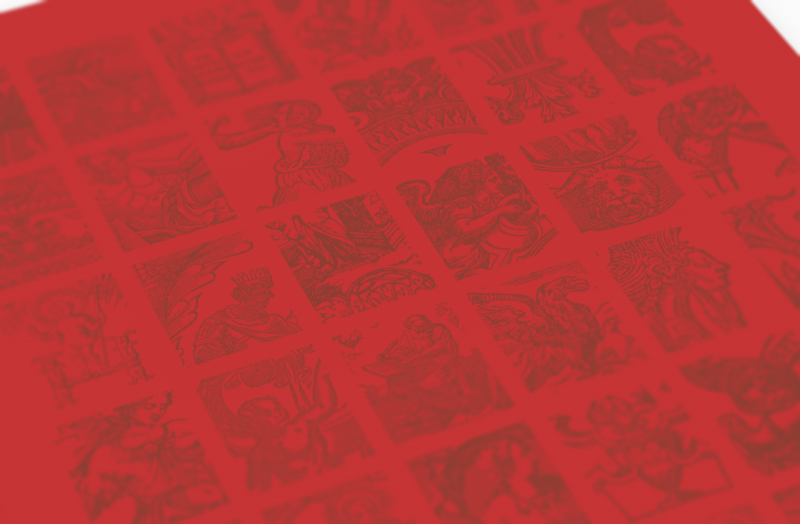 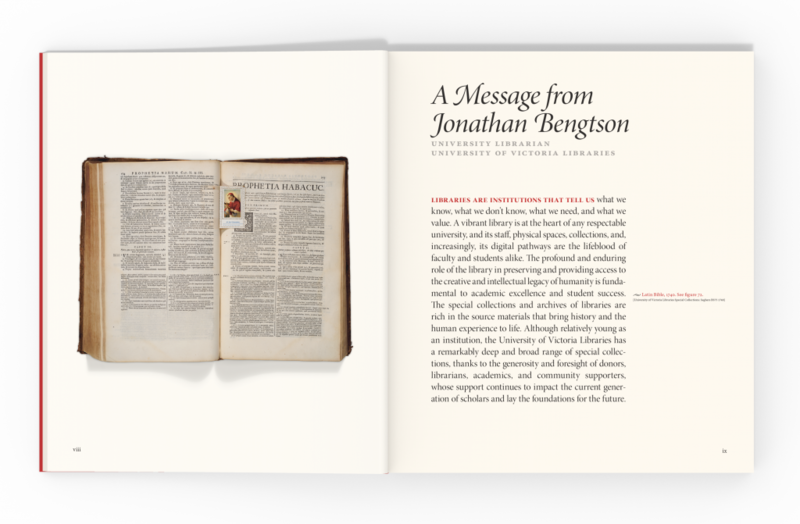 University of Victoria Libraries asked us to create the first in a planned series of titles which will feature special collections of books in their holdings. 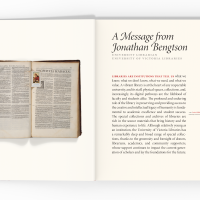 This first title explores the antique Bibles and commentaries from Bishop Charles Seghers' private library and that of the diocese of Victoria. 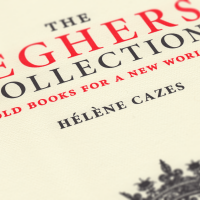 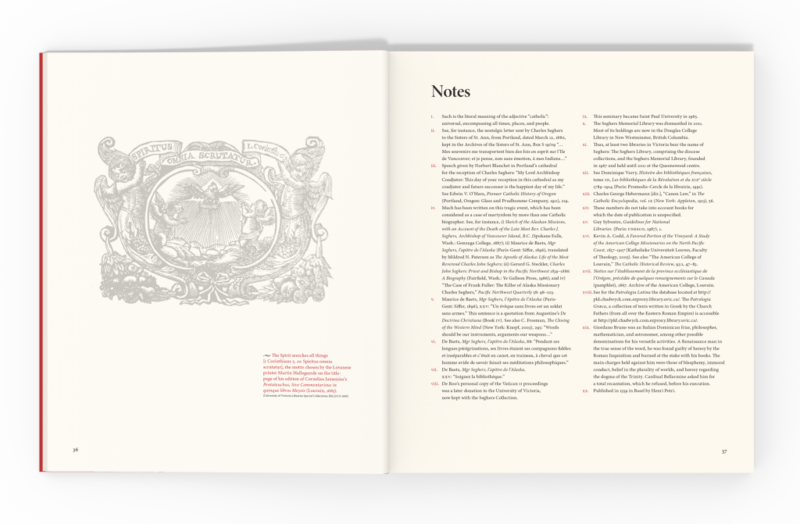 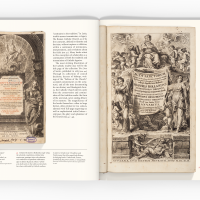 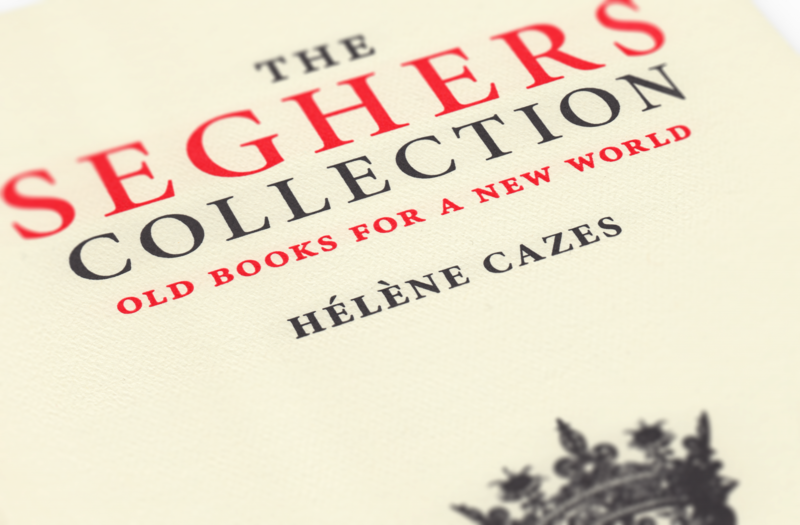 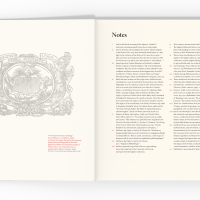 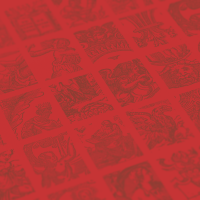 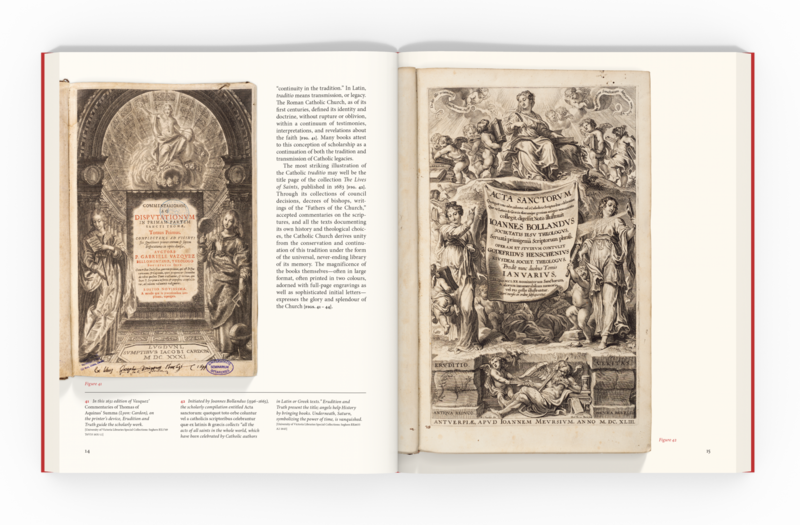 The client provided 83 ultra-high resolution scans of the books, plus hundreds of typographic flourishes, printers’ marks and ornaments, which were used to accompany the essay by Hélène Cazes and introductory comments by Bishop Remi de Roo, University librarian Jonathan Bengtson, and head of Special Collections, Christopher Petter. 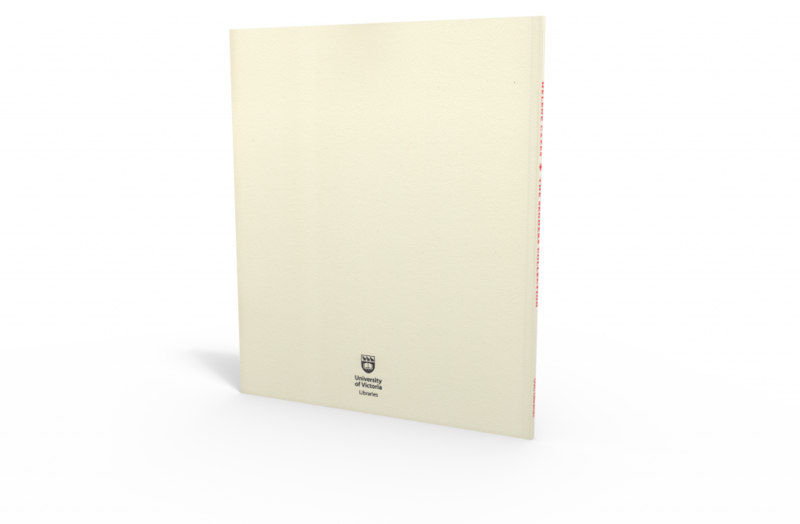 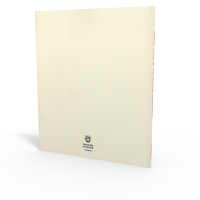 The two-colour letterpress covers were printed by Don Allen on his 1931 Vandercook press at Winfield Printing and bound with the full colour offset insides, printed separately by UVic Printing. 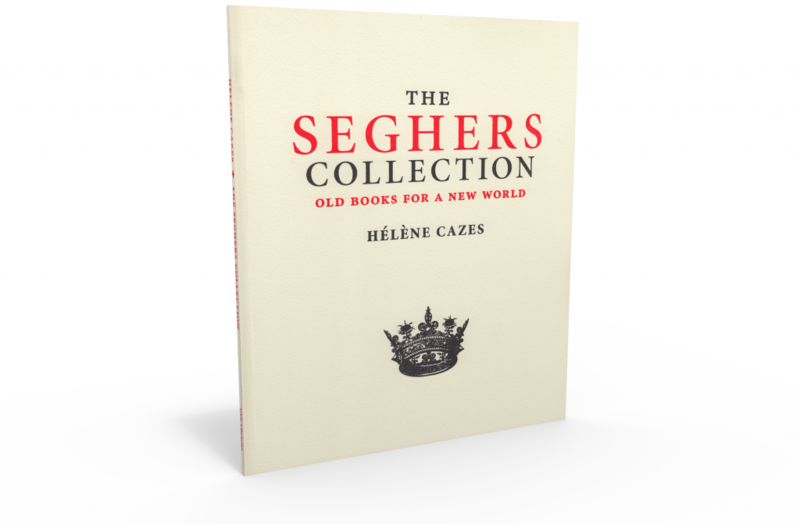 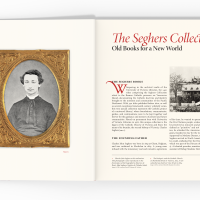 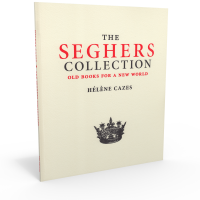 The Seghers Collection won Third Prize in the Prose non-fiction illustrated category in the 2014 Alcuin Society Awards for Excellence in Book Design in Canada. 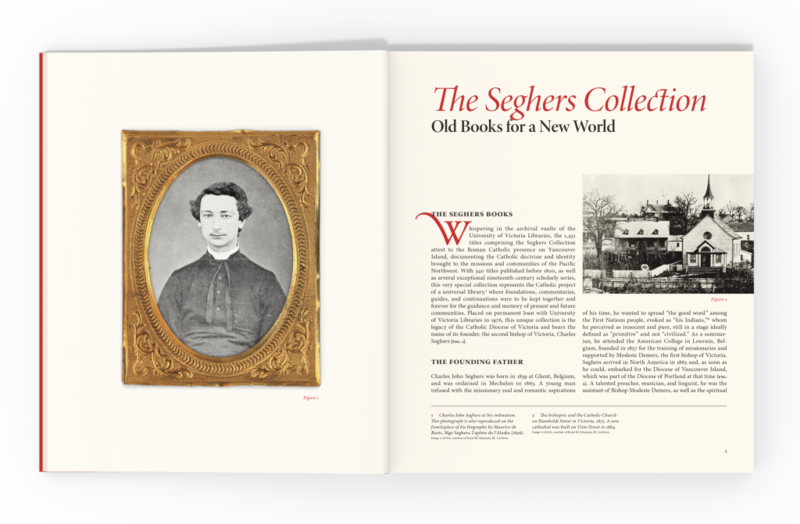 You can flip through the entire book online at Issuu or view a PDF at the UVic Library.